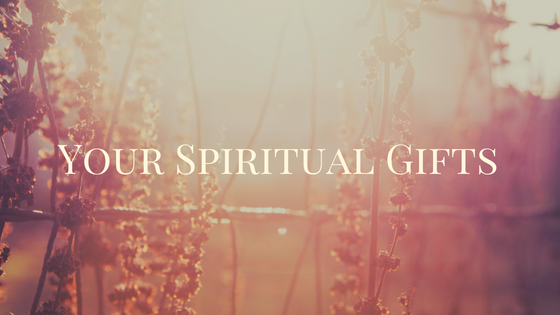 Our God given spiritual gifts are yet another layer of what makes us who we are. When it comes to relating to others, especially witnessing to others it is very helpful to know the gifts that we are blessed with and how to best utilize them. There is no question that God empowers all of us with different spiritual gifts. The topic of spiritual gifts however, is cause for confusion and controversy today as it was in the early church. Misuse and misunderstanding has contributed to riffs and divisions in the church. There is also disagreement about what the actual spiritual gifts are. It is very clear though, that spiritual gifts are given to us through grace from God for us to be able to support the church body, so I will proceed with that understanding. Evangelism and shepherding are examples of ministry gifts. Faith and healing are examples of manifestation gifts. Motivational gifts help to reveal the personality of God. Let’s look at some of these gifts in more detail. Teaching– People with the gift of teaching feel an obligation to emphasize accuracy and correctness and to share this knowledge with others. They love to study a do research to confirm the truth. Giving– These people absolutely love giving. They love reaching out to people and get excited at the idea of blessing others through their giving. Most prefer to give quietly, from behind the scenes. They will also encourage others to give and are very aware of other people’s needs. They always give with a cheerful heart. Mercy– These folks can easily perceive the distress or happiness in others and are very intune to the feeling and needs of others. They can be very patient with the needy and are attracted to those in need. Their desire to see people healed is paramount. Prophecy– Having the gift of prophecy doesn’t mean seeing the future. Those with this gift tend to have insight, foresight and are able to warn of sin and even expose sin. They tend to be outspoken and sometimes seem to be impersonal and judgemental. These people are very serious and hold the truth in high regard, sometimes even over friendship. Ministering/Serving/Helps -These are the “lets get it done” folks. They are focused on satisfying the needs and wants of the church. Often they will over commit (don’t like saying no) because they find great satisfaction in accomplishing short-term goals. Exhortation/Encouragement– People with this gift are very positive and practical. They love eliciting a positive response. They excel at encouraging and motivating others through a desire of seeing their brothers and sisters grow in their faith and walk with the Lord. These are the cheerleaders! Administration/Leadership– Those with this gift can see the “big” picture. They are comfortable organizing and finding efficient and effective ways of getting the work done. These people don’t always seek the lead roll but will assume it whenever it is needed. Seeing others team up to get things done gives them great satisfaction. The best way to determine your special spiritual gifts is to prayerfully consider the things you enjoy doing. Ask yourself what gives you the most satisfaction, especially when you are doing something for the church. If the pastor asks you to teach a Sunday School class and your heart leaps for joy at the opportunity, you probably have the gift of teaching. If you quietly and excitedly give to missionaries andcharities, you probably have the gift of giving. If you enjoy visiting the sick or taking a meal to a family in need, you may have the gift of service or exhortation. If you love organizing the annual missions conference, you likely have the gift of administration. God equips each of us with specific desires so that our service to him and the church ultimately provides us with a sense of satisfaction. This is how God insures that we will continue to look forward to serving him with excitement. When we utilize the gifts that come from God, we can positively affect the lives of others through our gifts. This allows the power of the Holy Spirit to infuse through us and flow out to minister to others. On the other hand, if we try to serve God in our own strength, apart from our God-given gifts, over time we’ll lose our joy and inevitably our inner motivation will wear out. Eventually, we will grow tired and ultimately we will burn out. Note: Only a few of the gifts have been discussed here. I encourage you to do your own research to learn more about all of the gifts. Remember, this is just another tool to use. Don’t get bogged down in trying to determine what your gifts are. For the purpose of sharing the Gospel it’s not a requirement. It’s just another helpful way to guide you towards a method you will be comfortable embracing. Next: Next post: What’s Your Story?